We are big fans of Pieminister at Foodstuff Finds, so when we heard that there was a new variety coming out for the season we couldn’t wait to give it a go. I’ve had quite a few Pieminister pies at home and have re-purchased them as they do taste so much better than the cheaper varieties do. The pastry is always well balanced, firm and tasty, but not too thick. The ingredients contain an interesting mix too, I love their beef and blue cheese edition for example. 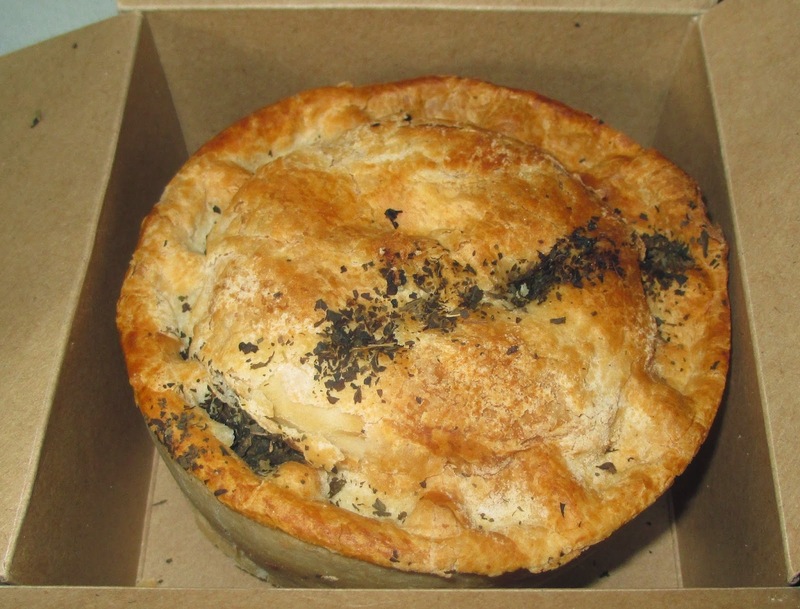 The new pie is called “Tipsy Chick” as it has a sauce based with cider and of course the main meat is chicken, but that part is a bit more obvious. 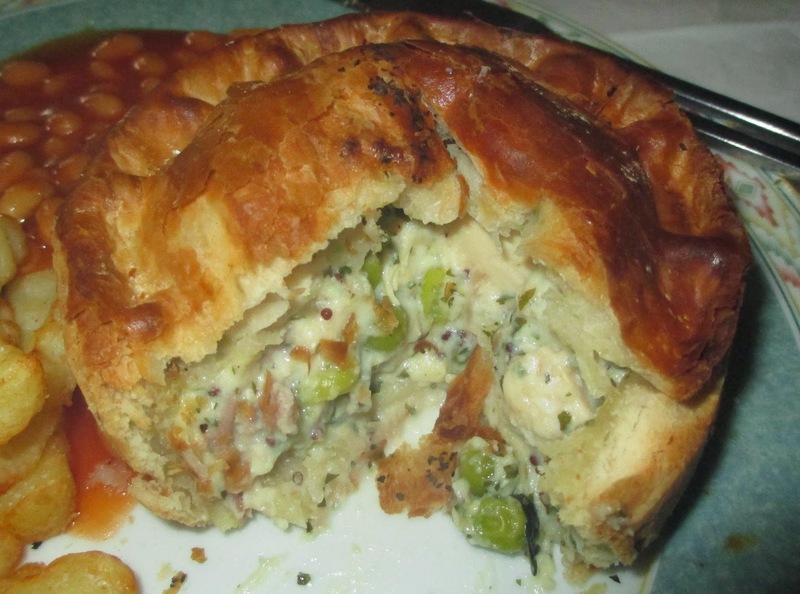 Also in the pie are ham, peas and broad beans which does sound like a lovely summery mix. They heat up easily in the oven and make a quick but tasty tea. We had ours with baked beans and chips, just for that authentic feel. As usual with Pieminister the filling was very generous and there was plenty of goodies inside the pie. The chicken was moist and tasty, and the veggies worked surprisingly well. The sauce base was slightly acidic from the cider, and a had a hint of lemon, but there was a lovely fresh aftertaste of garden mint. This is very much a summer pie, and would go really well with a bowl of fresh salad on a summer’s night, which I wasn’t expecting. The seasoning is so fragrant and delicate, but the chicken and vegetables make it feel substantial but healthy which is the perfect balance. I have to say I was very impressed, and it is certainly a pie I’d want to buy again. Their other new pie, also with a good hint of cider, is the ScrumPea. It has a cider sauce and is a vegetarian pie filled with peas, asparagus and fennel. It is definitely next on my to try list.